I have been sick all week. Stuck in bed since Sunday. Between bouts of fever and coughing I have gotten some stitching done. I worked some more on my May Band Sampler RR and a new SAL I just started with the Friendly Stitchers group called Dawn of Spring designed by Mouse. 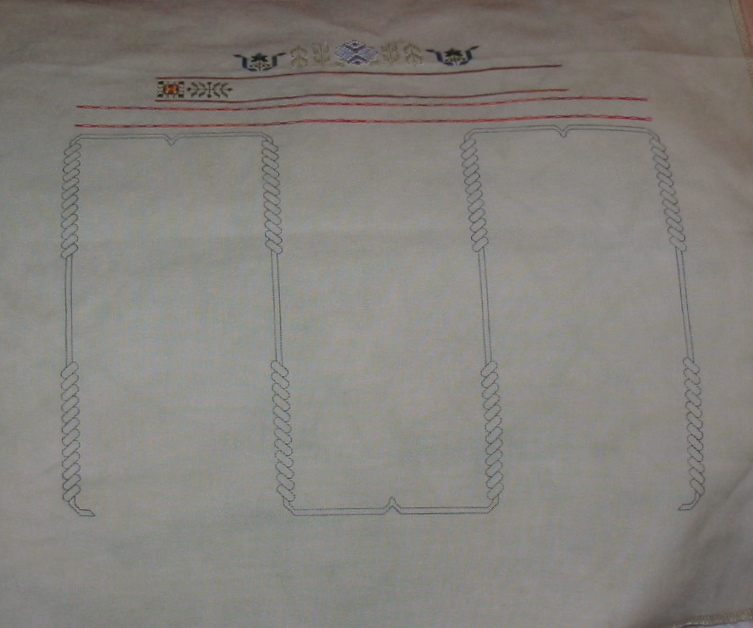 The scroll work outline is done on the area that the other stitchers will use to stitch their bands on my Band Sampler. I will go back and backstitch the center of the scrolls with gold metallic thread. 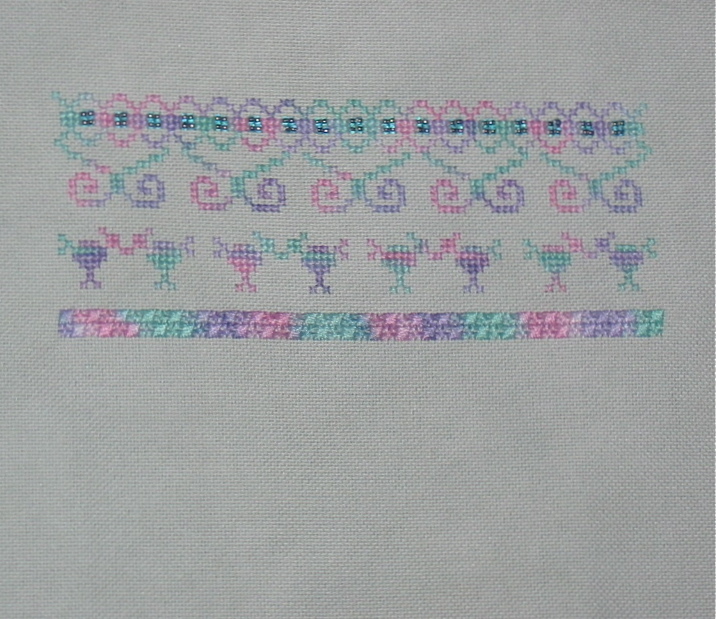 The center area will be for initials and the title of the Sampler and a flower will adorn the bottom center area. I am using 28ct SW Mountain Mist fabric, Carrie’s Creation Pansy Splash thread, MH beads #03047 and also required is some silk ribbon which I have a pale pink organdy or pale lavender organdy ribbon to use when necessary (I haven’t decided which to use yet). I am now patiently waiting for the next part to come out. If I feel well enough tomorrow it is back to work and my mini vacation was spent sick. Oh well, but I did get some uninterrupted stitching done.